Follow the steps below to create a customer within RICS Back Office. 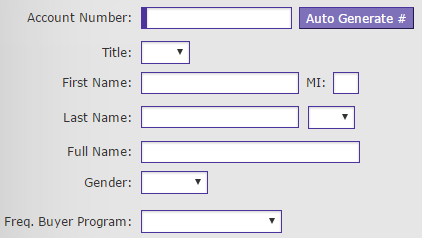 Note: The Full Name field will autofill with the information entered in Step 3 but can be modified as needed. A/R Post To – To enter an A/R Post To account number, the store must have A/R set up within A/R :: A/R Setup and the customer must be established as an A/R Customer within A/R :: Enter A/R Customers. Frequent Buyer Program – To select a frequent buyer program, the store must have a frequent buyer program created within Setup :: Manage Frequent Buyerand enabled within the store. Email – Enter up to a sixty-four character alphanumeric email address. Phone Number – Enter up to a twenty digit phone number. 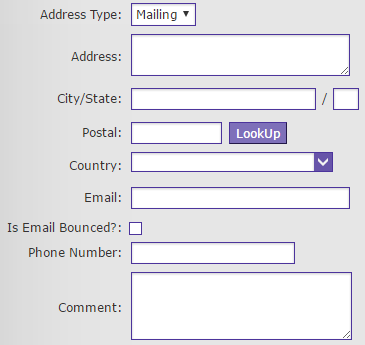 Comment – Enter a comment to display when the customer is loaded in the RICS Back Office or at the RICS POS. Credit Limit – Enter a dollar limit the customer has available for use at the RICS POS. Charge Balance – Enter the current balance the customer owes the store. Store Credit Balance – Enter the current balance the store owes the customer. Frequent Buyer Qty – Enter the purchased quantity accumulated towards a frequent buyer reward plan. Frequent Buyer Amt – Enter the purchased amount accumulated towards a frequent buyer reward plan. Tax Exempt – Select to set an account as non-taxed for all transactions processed through the RICS POS. Tax Exempt ID – Enter up to a thirty-two character alphanumeric Tax ID. Birth Date – Enter a customer’s birth date in MM/DD format. Alert – Enter an alert message to automatically alert a cashier when the customer is loaded in the RICS Back Office or at the RICS POS. Custom Entries – Select or enter any customer custom entries. 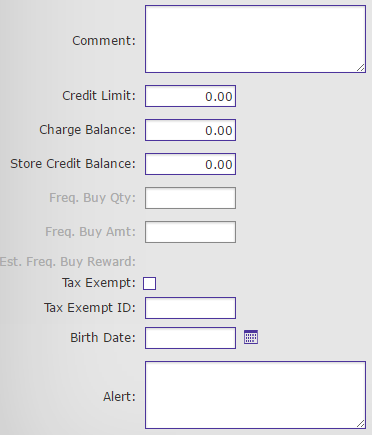 Custom Attributes – Enter custom text to display when the customer is loaded in the RICS Back Office or at the RICS POS. Parent/Child Relationships – Enter a customer account number in the corresponding field to associate the created customer with another customer within RICS.